« A Perspective on Youth Soccer Coaching: Are Small-Sided Games Better? 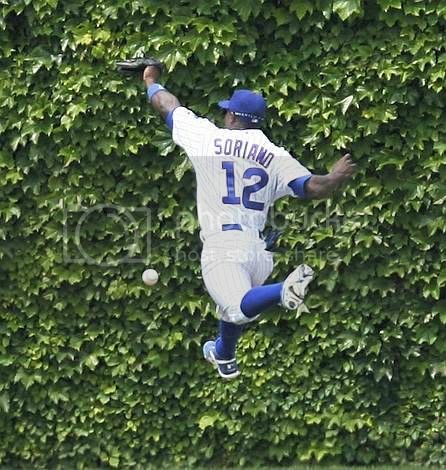 After the Reuters (RNPS) Best Sports Pictures of the Year, it’s time for another news agency to make its Top Pictures-Ranking for 2007. 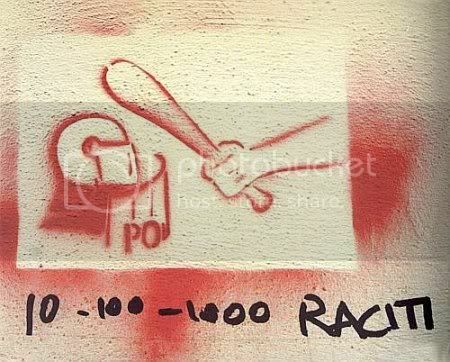 This time it’s ANSA, the main Italian press agency. 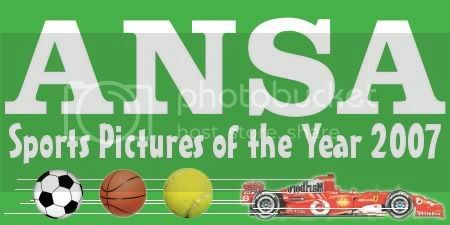 From the book “Ansa Photo 2007″, La Gazzetta dello Sport has made a selection of all the images tied with sports. 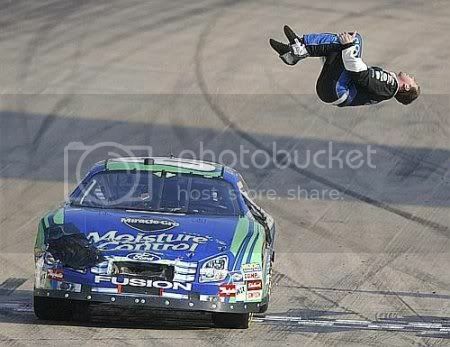 I have selected the Best 30 Pictures from their feature article. 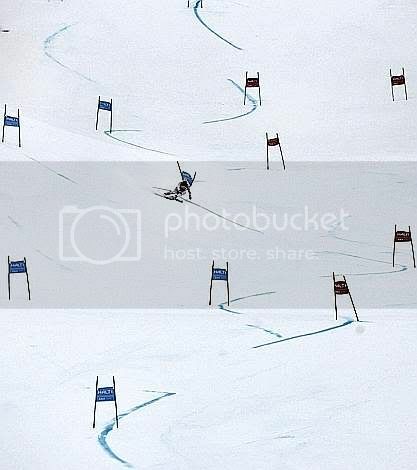 So, without further ado, here’s a selection of the Best Sports Pictures of 2007 by ANSA (Agenzia Nazionale Stampa Associata). 1. 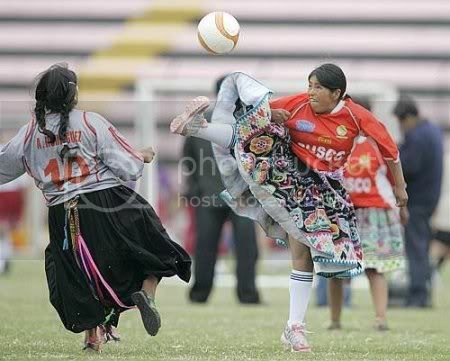 SOCCER – Women’s Soccer… in the Andes. 2. 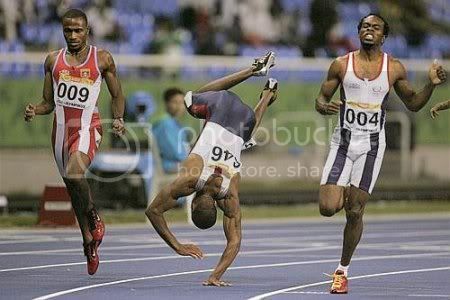 TRACK & FIELD – Getting the Gold medal in the Pan-American games 100m dash deserves a somersault. 3. 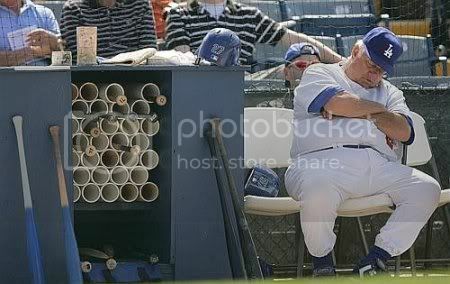 BASEBALL – Evidently the show at this LA Dodgers game is far from being electrifying. 5. 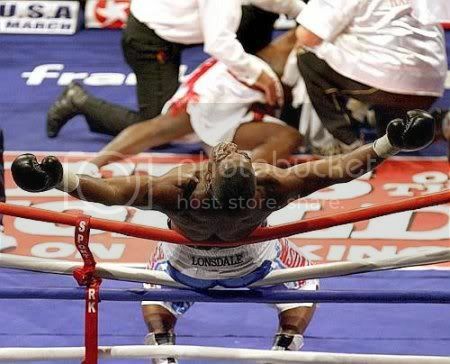 BOXE – Michael Sprott vs. Audley Harrison… which one is K.O. 6. 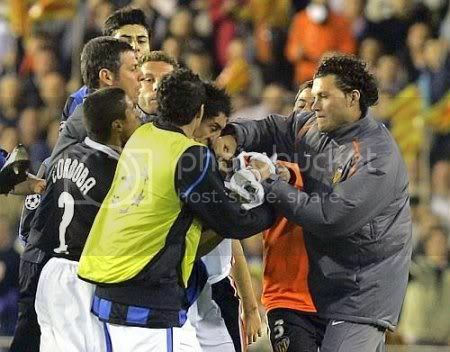 SOCCER – Valencia’s David Navarro, the boxer-version, vs. Inter player Nicolás Burdisso. 7. 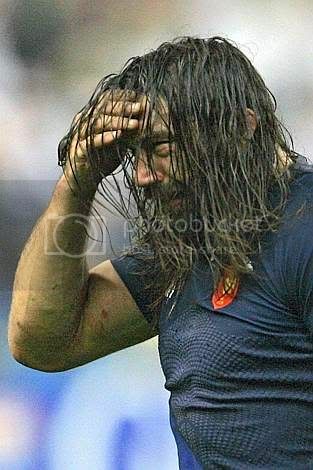 RUGBY – They call him ‘The Ogre’ – from the French rugby team, Sebastien Chabal. 8. 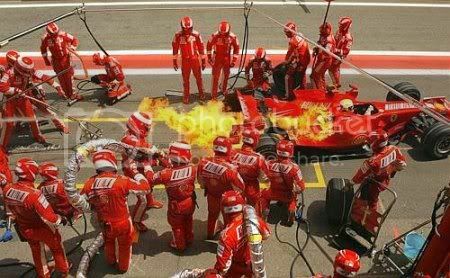 FORMULA 1 – Felipe Massa’s Ferrari is really on fire during the Spanish GP of Circuito de Catalunya. 9. 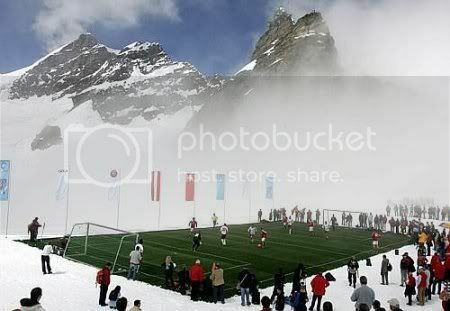 SOCCER – Have you ever played at an altitude of 3454 metres? 10. 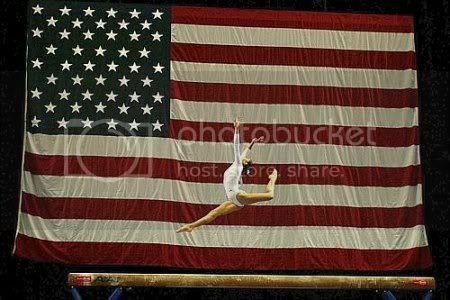 GYMNASTICS – Despite appearances, she’s not American but Mexican; her name is Elsa Garcia. 11. 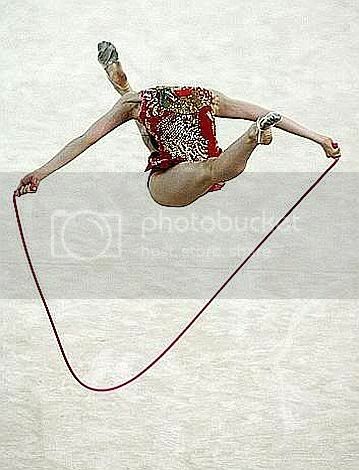 SOCCER – It is done – AC Milan have just beaten Liverpool FC in the UEFA Champions League and are European Champions. 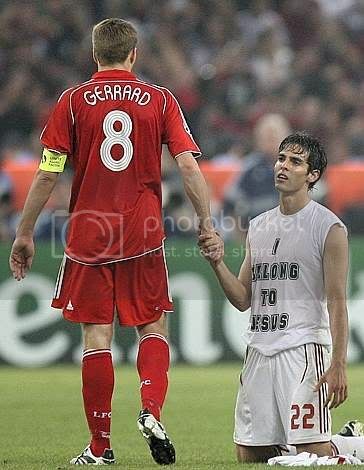 Reds captain Steven Gerrard shakes the hand of Rossonero Ricky Kaká, in full “I belong to Jesus” attire for the occasion. 12. 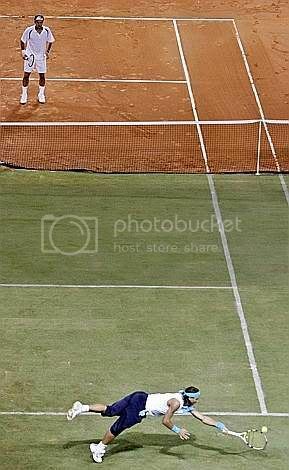 TENNIS – Nadal on grass, Federer on clay during their May split-court exhibition match in Mallorca, Spain. 13. 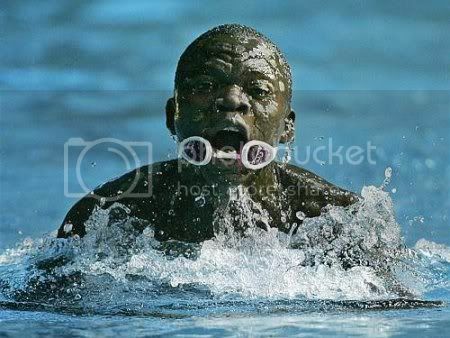 SWIMMING – Gibrilla Bamba, Sierra Leone. 14. 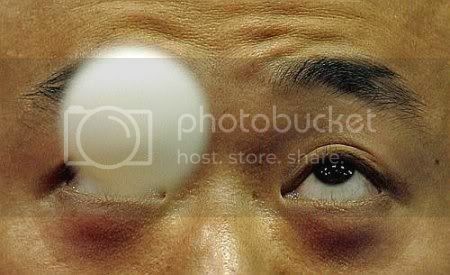 PING-PONG – Liqin Wang is fully concentrated on the ball. 15. 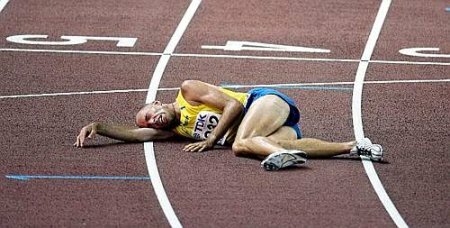 TRACK & FIELD – South African Paralympic athlete Oscar Pistorius, double amputee world record holder in the 100, 200 and 400 metres events. 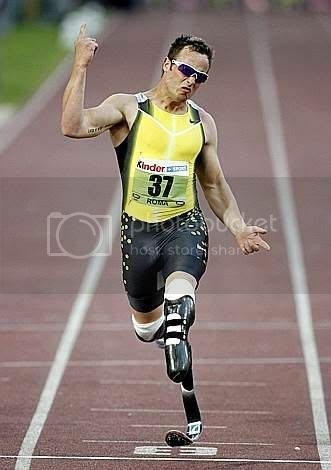 Pistorius runs with the aid of carbon fibre transtibial artificial limbs. 16. 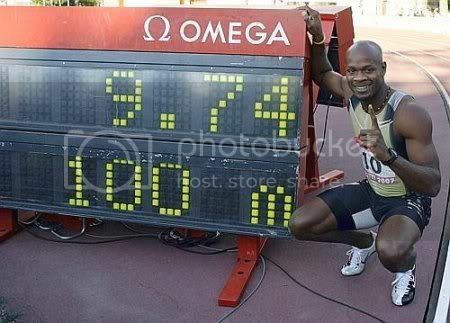 TRACK & FIELD – Asafa Powell is the fastest man on Earth; Rieti’s track is confirming. 17. 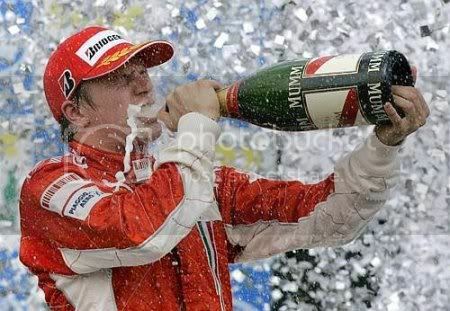 FORMULA 1 – Kimi Raikkonen is the Formula 1 World Champion with Ferrari. 18. 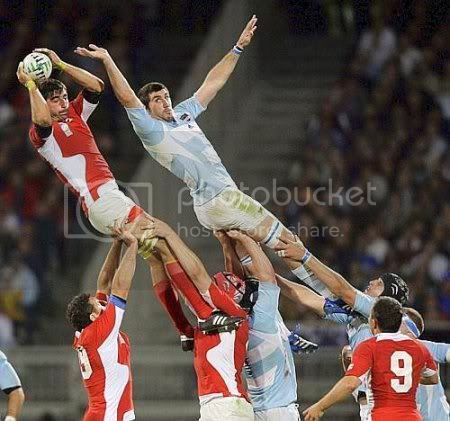 RUGBY – 2007 – time for the Rugby World Cup. 19. 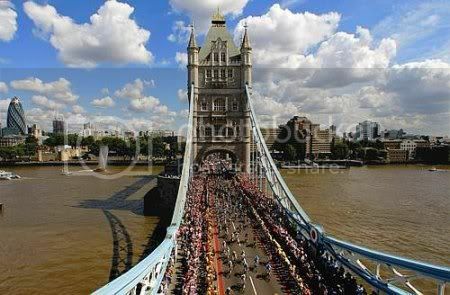 CYCLING – Tour de France… in London. 20. 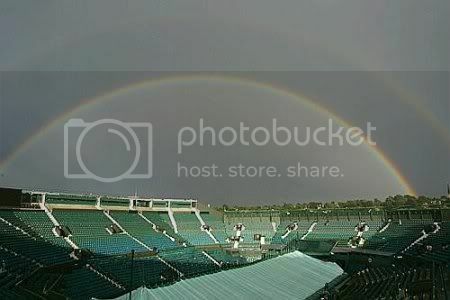 TENNIS – Sun and Rain on Wimbledon. 21. 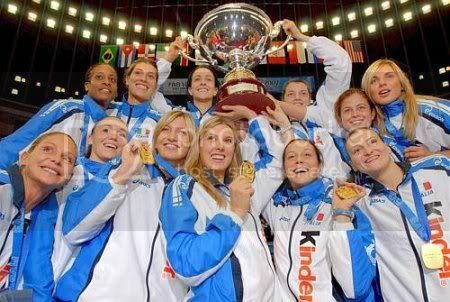 VOLLEY-BALL – ItalVolley Rosa (the Azzurri women’s team) gets the Gold at the World Championships in Nagoya, Japan. 22. CYCLING – Danilo Di Luca wins the Giro d’Italia. 23. 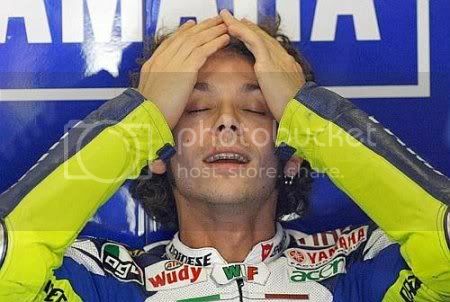 MOTORCYLE RACING – For Valentino Rossi, 2007 is a year to forget. 24. 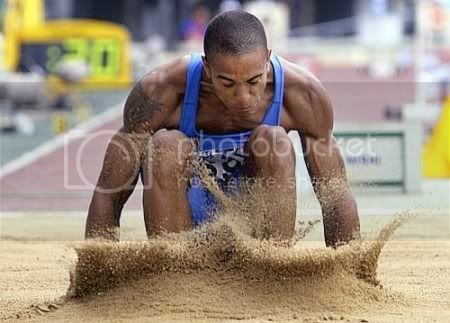 TRACK & FIELD – Big jump for Andrew Howe. 25. MOTORCYLE RACING – Casey Stoner’s secret – his wife Adriana. 26. 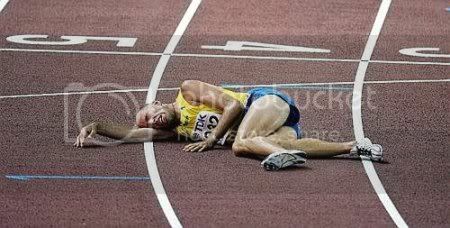 TRACK & FIELD – Erik Sjoqvist is exhausted at the finish line of the 5000m event. 27. 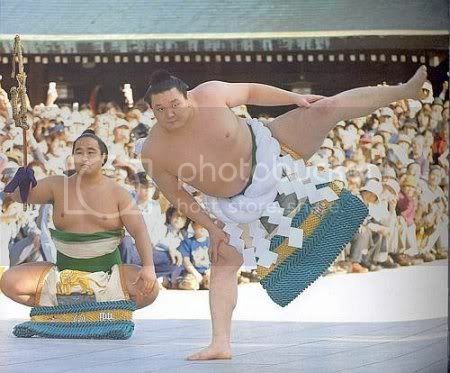 SUMO – Mongolian wrestler Hakuho dances to celebrate his promotion to Yokozuna, the highest ranking in the sport of Sumo. 28. SOCCER – The kind of sport we really don’t want to see. 29. BEACH VOLLEY-BALL – Guatemala’s Lourdes Ramirez and the B-side of beach volley. 30. 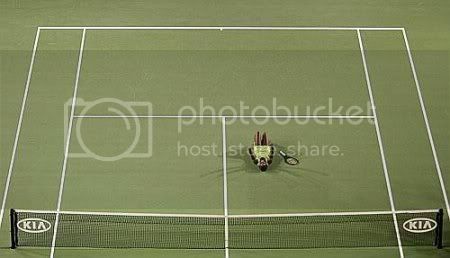 TENNIS – A non-paying spectator at Stadium Artur Ashe, during the match between Roger Federer and John Isner at the US Open. This entry was posted on Monday, December 31st, 2007 at 1:49 pm	and is filed under Miscellaneous, World News. You can follow any responses to this entry through the RSS 2.0 feed. Both comments and pings are currently closed. 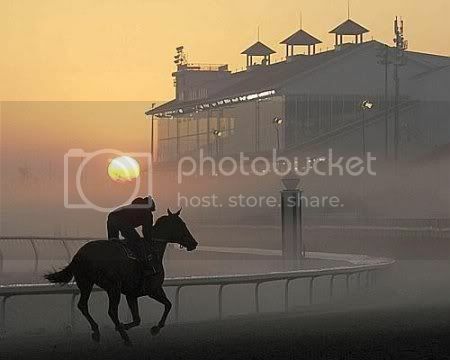 Some really cool pictures here. 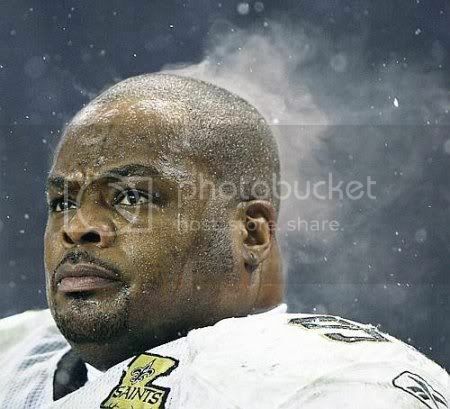 That ‘fuming head’ is priceless. 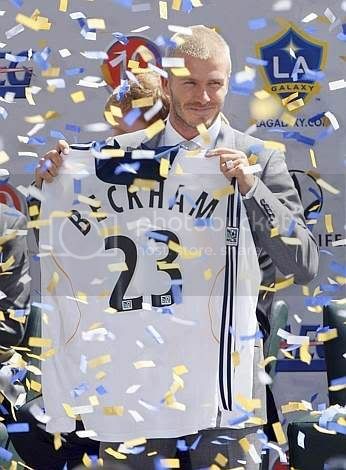 I love nº11. Kaká exhausted at his performance and Gerrard having to recognize Milan’s superiority. Priceless.